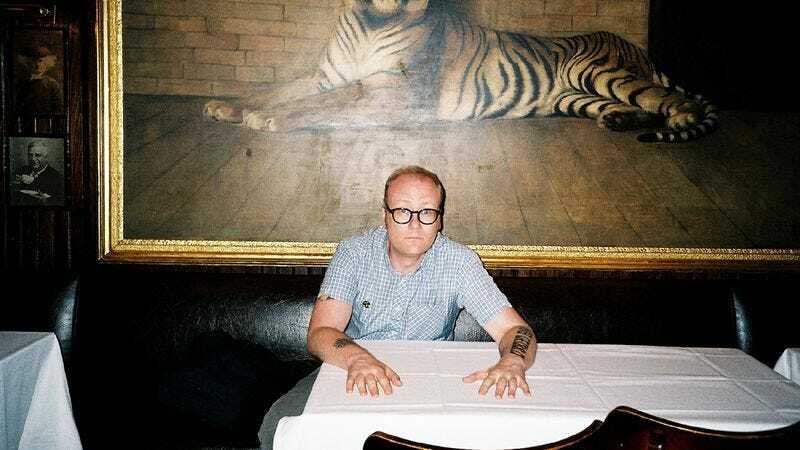 Former Soul Coughing frontman Mike Doughty has not hidden his feelings about his previous band or the music he recorded with it; he has long refused to perform any of those songs live, and he’s spoken publicly about the songwriting-credit disputes that led to the band’s breakup. So it’s a little surprising that Doughty set aside his distaste for those days to record a new album full of Soul Coughing covers, titled Circles Super Bon Bon Sleepless How Many Cans? True Dreams Of Wichita Monster Man Mr. Bitterness Maybe I’ll Come Down St. Louise Is Listening I Miss The Girl Unmarked Helicopters The Idiot Kings So Far I Have Not Found The Science.The album spins the old ’90s slacker jazz tunes into Doughty’s relaxed singer-songwriter vibe, and while he has teamed up with upright bass player Catherine Popper here, her sound is markedly different from the Cough’s upright bassist Sebastian Steinberg. But the one track on Circles Super Bon Bon… that doesn’t sound like modern Doughty spinning songs from the ’90s is arguably the one song whose original version sounds the most dated now. Soul Coughing’s tune “Unmarked Helicopters” still sounds like a song from an old sci-fi show—and with good reason: It was used in the fourth season of The X-Files and appears on that show’s 1996 soundtrack, Songs In The Key Of X. But where Soul Coughing’s original has an eerie, haunted vibe, Doughty’s new version is warmer, turning the song’s visions of mysterious flying objects into a more realistic occurrence (drones, perhaps? ), rather than a creepy hallucination. Doughty’s repeated lyrics in the song’s outro may stretch on a little too long, but it all just adds to the trancelike haze caused by those scratch marks on our crania. He still conjures a world we can’t quite explain; it’s just a little closer to reality now.